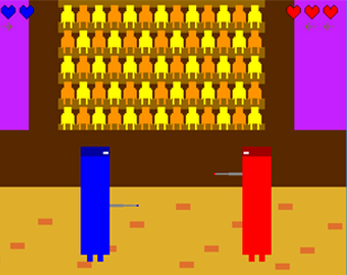 One of the first game I tried to make with Game Maker, two years ago. It was supposed to be a joust game for two players. I worked on it for a few days, but I didn't have the knowledge necessary to finish it.